We just completed our 10th edcampPDX – a chance to get pumped up for the new school year, network and share new ideas with our colleagues. Here’s our Storify Twitter archive. Check back for updates as attendees have time to reflect and tweet on the awesomeness we shared. 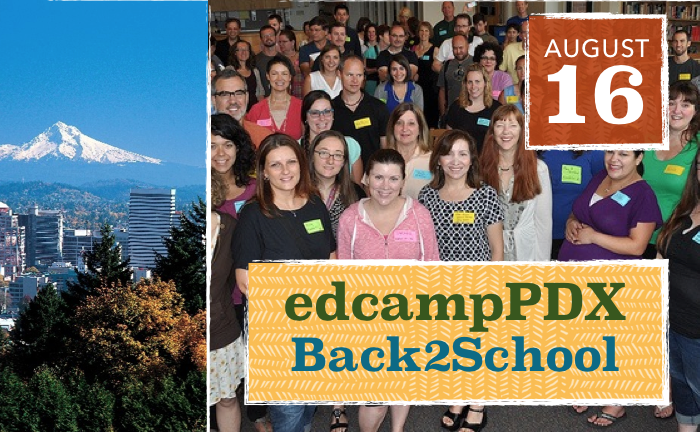 On behalf of our local team of organizers, I’m pleased to welcome you to our 10th edcampPDX since 2011. It’s time to get pumped up for the new school year- network and share new ideas with your colleagues. 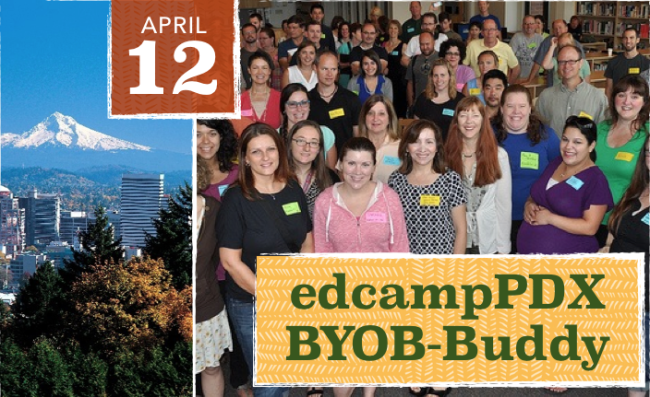 Students are welcome at EdCampPDX! Make sure to add them to the list so they’ll get a lunch. An edcamp is an unconference-style day of professional development organized and given by the local participants. We’ve had lots of proposals for sessions. Check our sessions out here. Bring a friend and a device (either a laptop or mobile device) with wireless internet access to view the website, see the sessions, take notes and view online resources discussed throughout the day. Are you on the Twitters? Tweet updates about #edcampPDX. 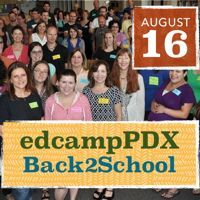 Follow @edcampPDX on Twitter. The day is FREE!!! Even lunch. PPS Teachers – we’ll have some Chromebooks and workshops so you can get a head start. 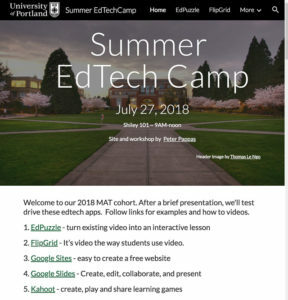 What are the goals of edcampPDX? 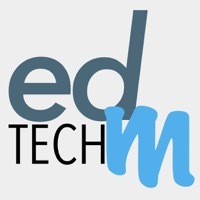 Personalized: You customize your own PD by suggesting, facilitating and attending sessions about topics that interest you! 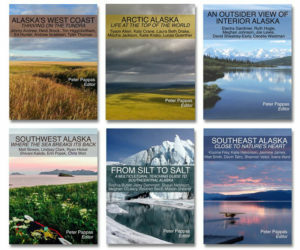 Calling all educators interested in Social Studies, History, Geography, Government, and Economics who live in the NW. Plus Humanities, Librarians, Technology and Administrators. K-12 plus college level. 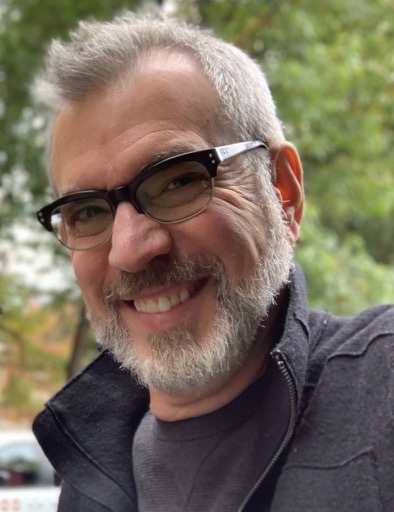 Here’s a great reason to head to Portland and connect with other educators! 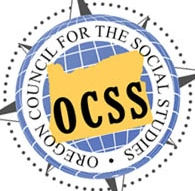 I’ve been involved with Portland’s successful edcampPDX and I’m pleased to be a co-chair of this social studies themed edcampOCSS sponsored by The Oregon Council for the Social Studies. 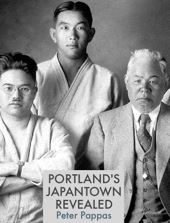 Join us in Portland Oregon on May 17, 2014. We’ll begin with coffee in the middle school cafeteria. Look for signs to guide you. The campus can be accessed from Murray Blvd or Farmington. There are signs on campus that indicate the buildings. The main parking lot is on the east side of the building. Door prizes from Herff Jones include a one year classroom license to StrataLogica and classroom sets of atlases. Big thank you to ORVSD for sponsoring a free lunch for the first 75 who sign up. What are the goals of edcampOCSS? An edcamp is a unconference-style day of professional development organized and given by the local participants. Sign up to attend here! Kids are welcome at EdCampPDX! Please bring them and their perspective. Make sure to add them to the list so they’ll get a lunch. Don’t worry, we’ll put them to work! Yes! 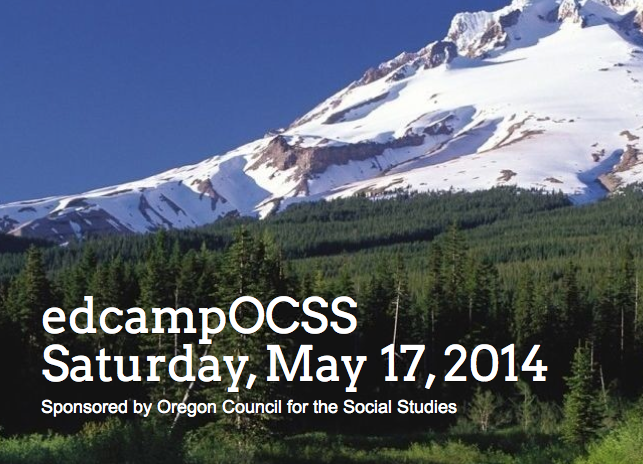 Twitter updates about #edcampPDX. 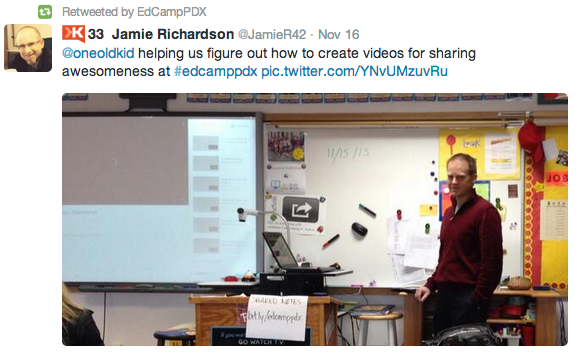 Follow @EdCampPDX on Twitter.